Am I the only owner of a Hampton on here ? Billy No Mates AGAIN ! Yes I am sure there will, until then I shall enjoy being unique ! Thanks for sending me the link Gary! I put my alloys back on at the weekend, when the car is clean again I'll get some pics. It's had the winter steels on since I've owned it until now. I've just become the owner of a Hampton... but I have tweaked it a little with a Cuban flag on the roof so I'm calling it a Mini Havana. I've also added a pair of aux driving lamps up front to keep it looking sporty. 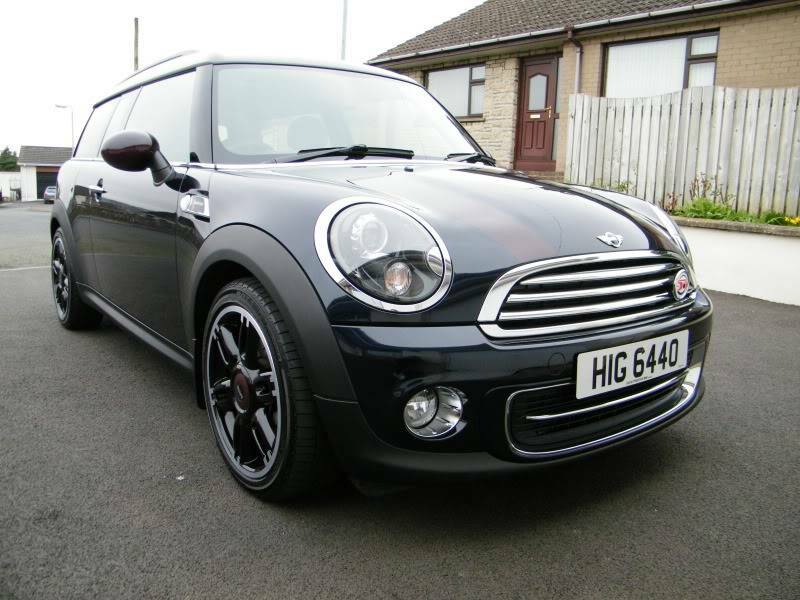 We have to get the Clubman because of the addition to our family... our dog, talk about spoilt! Anyway it's good to be on the forum and this rather exclusive bit too!